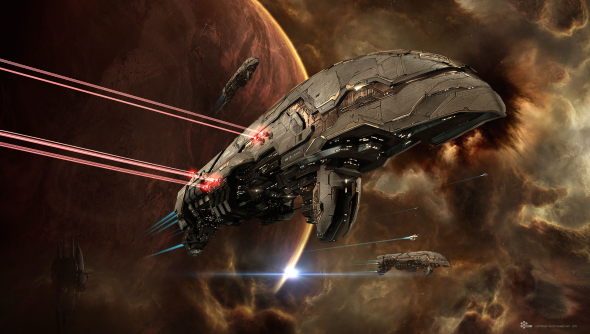 EVE Online’s players are getting older. That stands to reason, what with time passing and all, but CCP Quant sifted through EVE’s account data and found that new players signing up to EVE are older, too. Quant’s put together a video showing how over the past 11 years the audience for EVE has matured. Quant’s video goes through EVE’s history. Its frames are “composed of snapshots of active subscribers at each day, spanning every other day between June 2003 and December 2014.” month by month, since the game launched in 2003, and shows the distribution of players by age. The primary one showing the age of players at the date in question and the secondary(faded) one showing the age at which they joined eve online respectively using account creation date as the target. This gives an interesting extra insight into the maturing of our playerbase. We can tell from the graph that in 2003 the mean player age was 26. As the player base expanded (and EVE’s the only MMO to have continued growing for a decade) if EVE still appealed primarily to the same demographic you’d expect the mean age to remain around the same as new young players signed up. However, by the end of 2014 the mean age has increased to 33. Not only are the original players aging but the average age of new sign ups is higher.